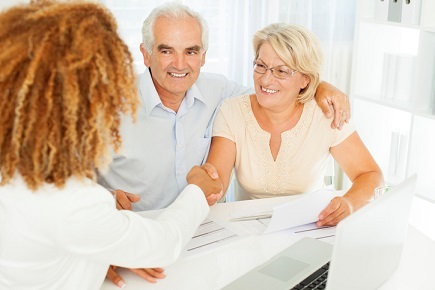 In an online poll of more than 2,000 Canadians, the Ontario Securities Commission (OSC) has found that when it comes to their future in retirement, different generations have different expectations. The study, conducted by Innovative Research Group, found that Canadians between 18 and 34 years old were the most likely age group to believe that their standard of living will improve after retirement (40% among men, 37% among women). That confidence decreased with age, with pre-retirees over 55 being least likely to share that outlook (12% among men, 6% among women). Pre-retirees accounted for two thirds (66%) of all survey participants. When asked how likely they were to work part-time or occasionally in their retirement years, 55% of pre-retirees said it’s “very” or “somewhat likely.” Men aged 18 to 34 were least likely to believe they’ll work in retirement (47%), while female pre-retirees older than 55 were most likely to expect it (61%). The poll also found that 24% of all respondents haven’t started yet. Dissecting the results by age, the highest number of non-savers was in the 18-34 category (34% among men, 43% among women). From the perspective of household income, it was those with less than $60,000 in household income (39%). One reason for the lack of retirement savings could be tied to the ability to plan ahead. Only 26% of all respondents said they usually think and plan at least five years ahead when it comes to their personal finances. Among all the age groups, those between 18 and 34 years old were least likely to do that kind of long-term planning (19% among males, 10% among females). The poll also asked respondents to rate their level of stress regarding their current financial situation. Even though they had the highest levels of optimism in their retirement, those from the 18-34 age group reported the highest levels of stress (27% among men, 33% among women). Reported stress levels were also high among households with less than $60,000 in income (31%) and investors with no savings (34%).